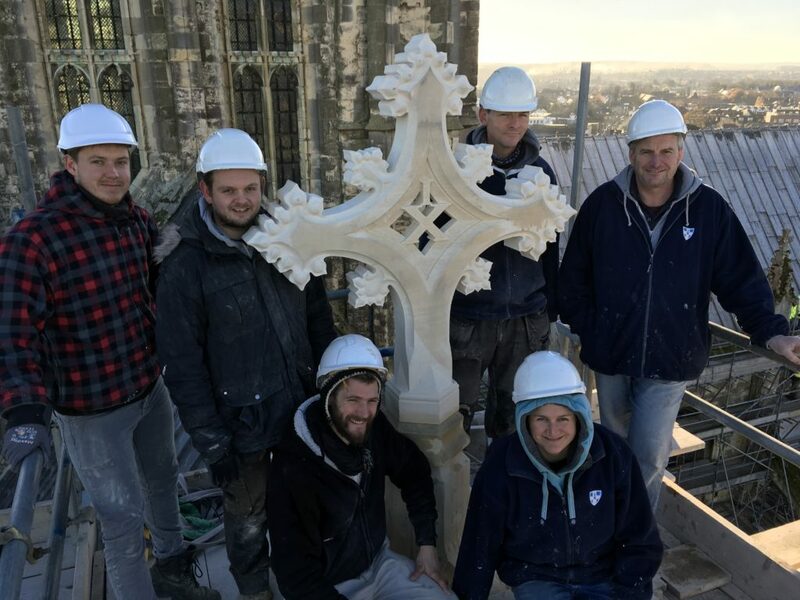 The completion of restoration work on one of the most significant and historically important parts of Canterbury Cathedral was marked with a traditional “topping-out” ceremony and a thank you to all those who had made it possible. 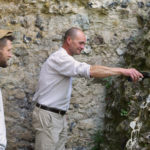 A bottle of beer was poured onto the base of the North West Transept as the Dean of Canterbury, the Very Revd Dr Robert Willis, praised both the work of the Cathedral stonemasons who carved the new stone and the generosity of donors who through the Canterbury Cathedral Trust gave £1.3 million to support the work. 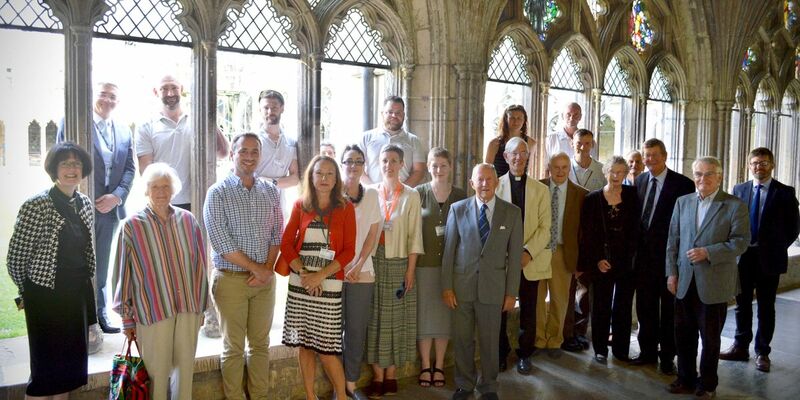 Guests at the ceremony included benefactors, stonemasons, Chapter members and staff of the Canterbury Cathedral Trust whose new chief executive Sarah Frankland said: “We are delighted to recognise donors’ support of the North West Transept at this special ceremony. 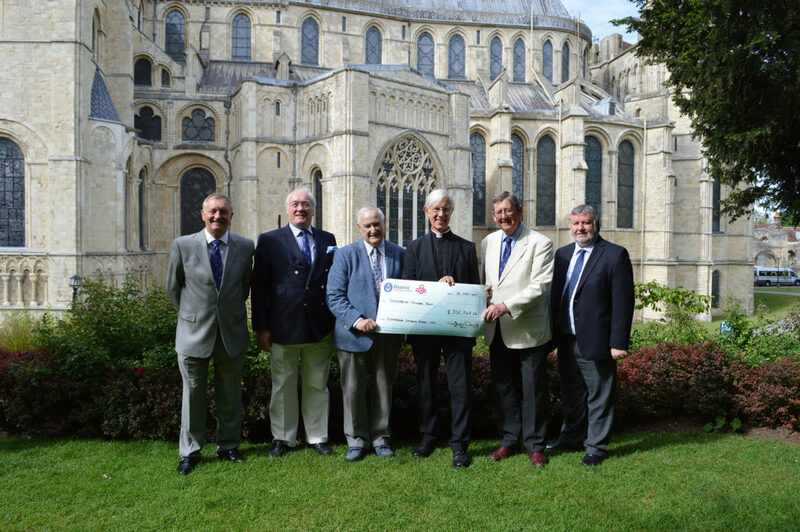 Thanks to generous gifts from Viridor Credits Environmental Company, the Freemasons of Kent, Surrey and Sussex and other generous donors, Canterbury Cathedral Trust raised £1.3m for the North West Transept and it has been safeguarded for the inspiration and education of future generations. 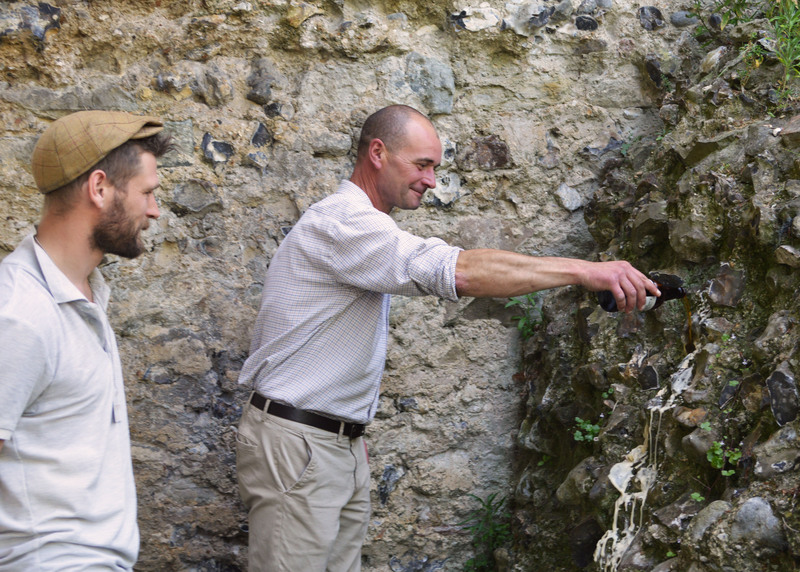 Head Stonemason, Tony Long, pours ale at the base of the North West Transept. The work to rebuild the towers above the North West Transept took two years to complete and threw up some interesting challenges for the Cathedral team. Head of Conservation Heather Newton explained: “The octagonal tower has a cylindrical centre and had to be rebuilt in vertical strips. This meant our team of stonemasons had to work around the tower. It required great skill and precision to ensure that the walls and course heights were aligned correctly. “This wasn’t helped by the awkward logistics of the project. With several buildings running along the north side of the Cathedral it made access extremely difficult and reduced the load bearing capabilities of the scaffolding. After work on the main structure had been completed a team of five stonemasons were then faced with the challenge of manoeuvring the heavy limestone cross through narrow corridors and up more than 40 metres of scaffolding before winter set in. (See the video below). Stonemason Ian Gartside had carved the new cross in Lavoux limestone (the same stone used to rebuild the Great South Window) and was one of the team who breathed a huge sigh of relief when the new cross fitted perfectly into place. Although aluminium poles replaced wooden beams, and electric motors replaced scores of men, ultimately lifting the stone into place and fixing it remained as it would have done 800 years ago. With the newly carved cross commanding views over the city, there were no industrial mixers or power tools to stir the lime cement – simply a bucket and a wooden stick! The Dean receives a cheque towards the conservation.